I’ve spent the last week working on a brick patio for a backyard landscape project on Cedar StreetIt turns out that reusing this brick was no small commitment. The effort required stockpiling the brick in order excavate for a well drained patio base, pressure washing to remove the sticky clay and weed seeds, and carefully executed cuts given the fragile nature and inconsistent sizing of the old fireplace brick. By contrast, current brick pavers are perfectly uniform and cut consistently without uncontrolled cracking and breakage. 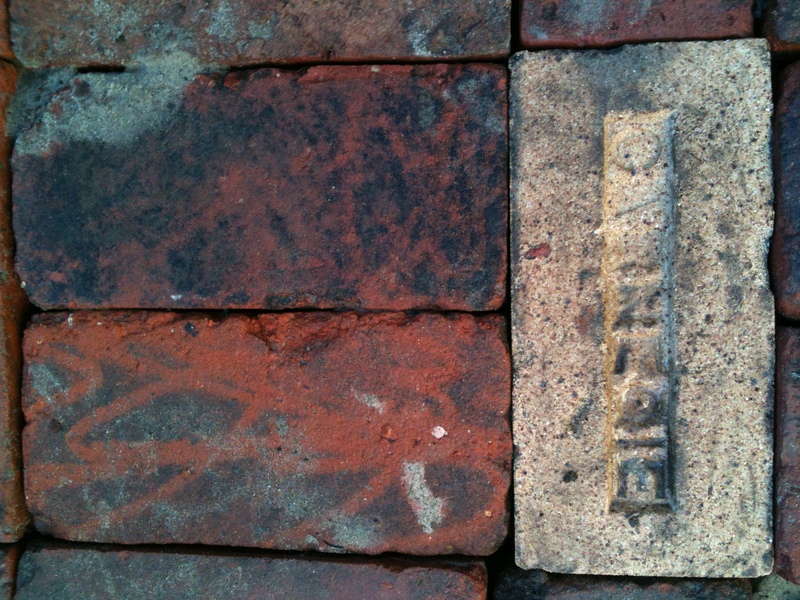 All of this extra time with these old bricks got me to look at them very closely – many of them, very closely…to my delight I began to be reminded of things that I had long forgotten. 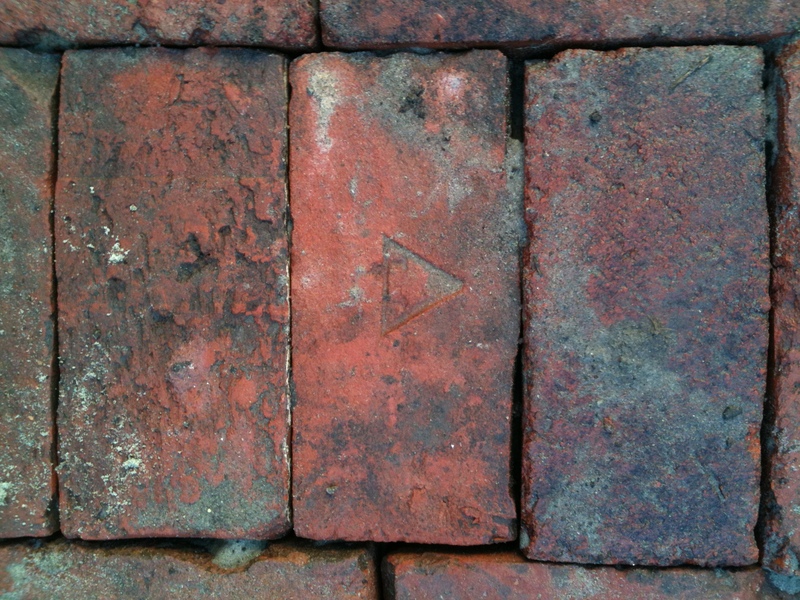 My architect father taught me as a child that bricks carry a lot of visible information their surface including the stamped foundry insignia, occasional other stamped insignia, and of course the color and sheen revealing the material content and firing temperature. 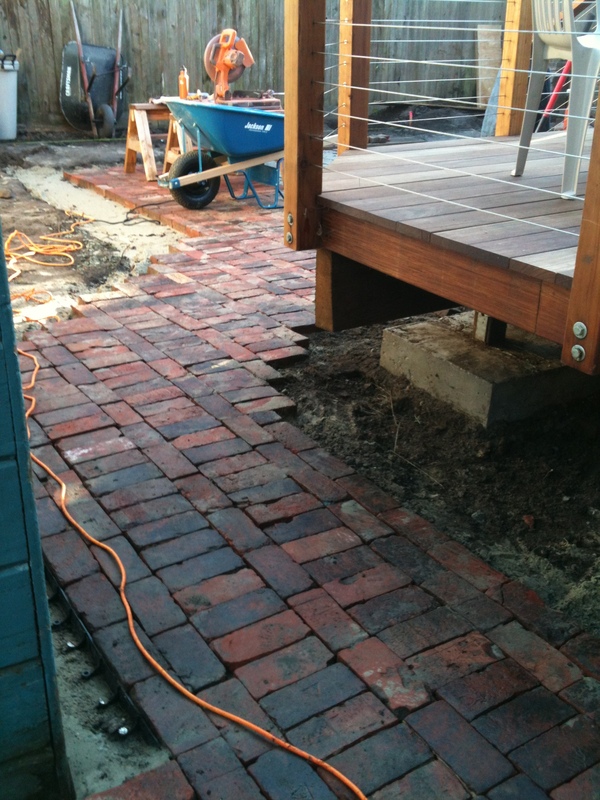 This collection of bricks has a rich history, something the owner is thrilled to have gracing the ground plane of their new backyard landscape. Here are some of the tidbits that I picked up. This entry was posted in Landscape Construction, Landscape Design, masonry, Uncategorized on February 23, 2013 by isimonmoore.